Mexico City, commonly known as D.F. (Distrito Federal) is the largest city in the world by population. 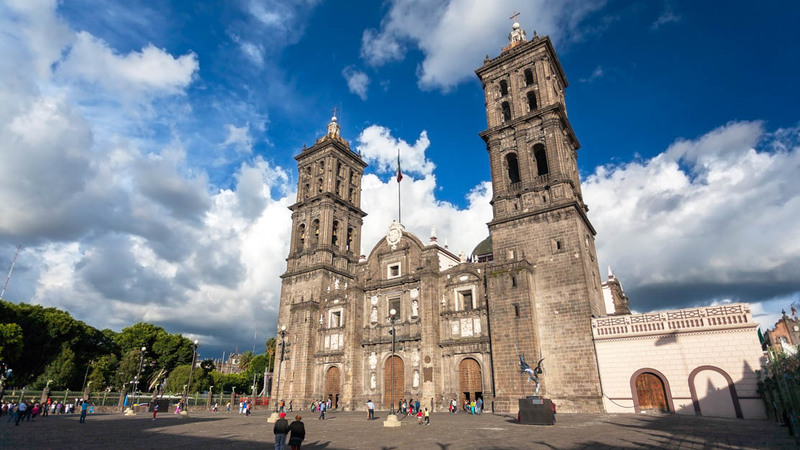 Blending Hispanic and indigenous culture, the entire city is listed as a UNESCO World Heritage Site. Here are some of the cultural treasures to seek out. This staggering City of the Gods, constructed by the Toltecs, was built over the course of 300 years starting in 100 BC. 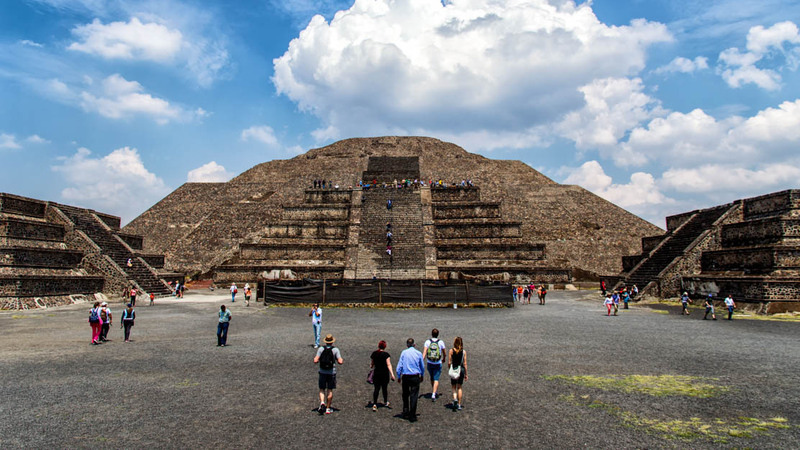 Prepare to feel small as you tour its monumental pyramids. 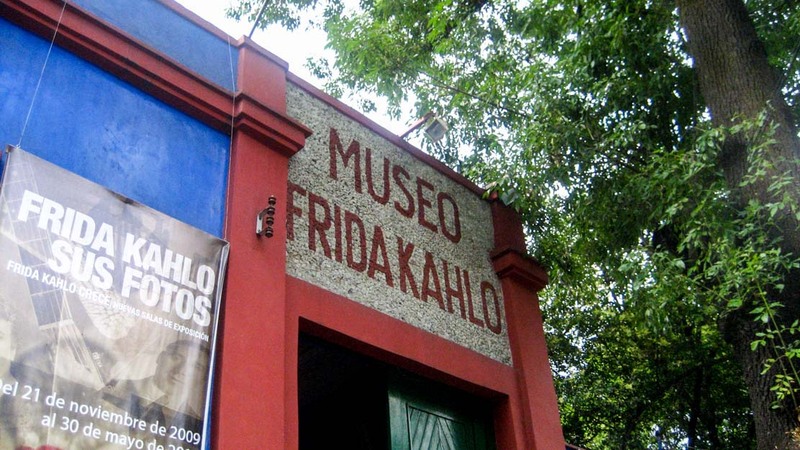 Mexico's iconically-eyebrowed artist has her own museum in D.F., in the house where she was born and where she died. Its cobalt blue walls and tranquil courtyards are truly lovely. Forget WWE - if you've ever wanted to see a wrestling match, this is it. Lucha Libre is a form of wrestling peculiar to Hispanic countries, distinguished by its colorful masks. Puebla is one of the oldest inhabited places in the whole country. The Tonanzintla Church and Cholula Pyramid, framed by the Sierra Norte mountains, is unforgettable. 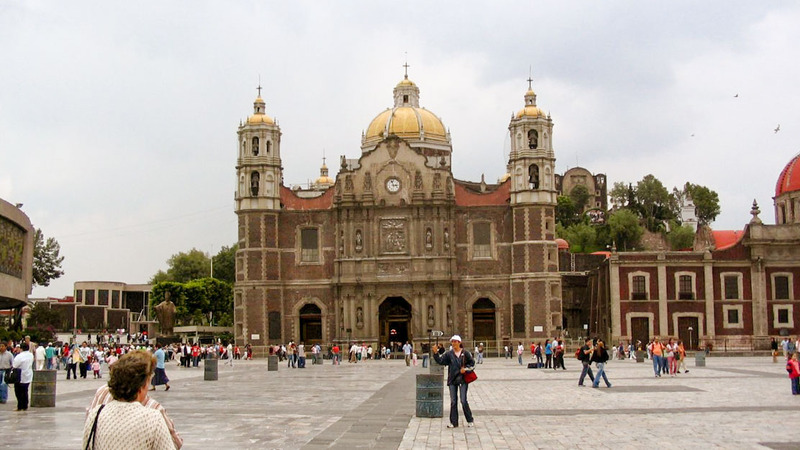 This basilica was built in the 1600s, on the spot where Our Lady of Guadalupe is said to have appeared to St. Juan Diego. In the 1970s, a new basilica was constructed alongside. Mexico City's "Pink Zone" is home to gay and Korean communities among many others. As you walk its bohemian streets, you can see some of Mexico's most European-looking architecture. How long should I stay in Mexico City? 10-14 days is enough to get the most out of this truly amazing city. How walkable is Mexico City? It's huge, so you will be relying on public transport a lot. In certain non-tourist areas, it's advised to avoid walking around at night. When should I go to Mexico City? Mexico City thrives in the summer, but it is probably best to visit from November onwards if you are averse to extreme heat. In Mexico, tipping is common in places you may not have expected - for example, at gas stations and supermarkets. If in doubt, check out what locals are doing. 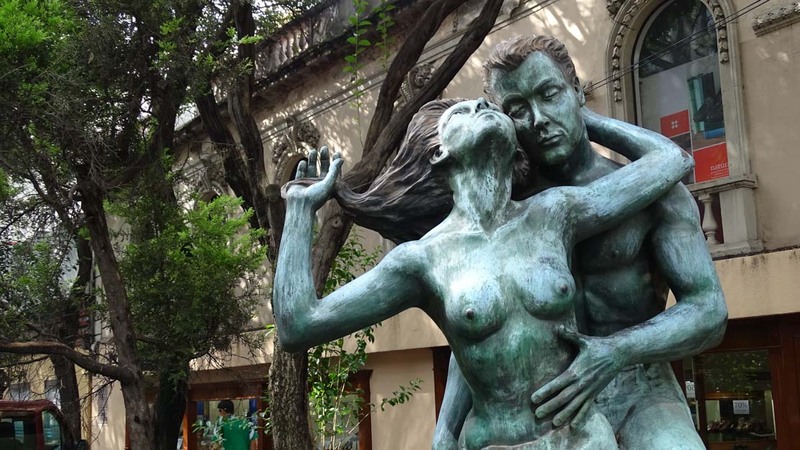 Want to discover all there is to do in Mexico City? Click here for a full list. Very tailor-made and off the beaten track. The guide Ulysses planned everything very well and told us a lot of informative things with a perfect English. We would book a tour again with Ulysses at any time. Very knowledgeable guide who was patient with the group. Antonio was our guide. He was terrific, understanding, patient and very kind. We enjoyed the museum thoroughly and the language was not an issue at all. Do it after visiting the Anthropology museum you'll have a better understanding and appreciation. The tour was limited to 10 people. We were picked up on time, went through picking up others, very quickly. Sandra was our tour guide. I recommend her fully. She was informative, fun, entertaining and patient. She is very pleasant. I hate those tours where the guide just keep talking and talking without really giving any real information. Every time, she spoke, I learned something new. She also was very careful to make sure was translating the full explanation in English. Again, there are times on tours, where the guide mostly speaks in his/her native tongue and does short sentences in English. You wonder how could a 1/2 hour turn into one sentence in English :-( Timeline: Very efficient and effective Information: Concise and to the point Sites: Visited three sites and was just right for us. I really liked it! The guide in spanish is better, than the one in english! He did like a fun history lesson! We gone to the church, shops, drank free tequila and mezcal and then the pyramuds, but there is plenty of time to explore them! If you want only the pyramids for long time do another tour, if you want to explore more, then do this one! !